The YMPZ program intends to develop low-emission transportation possibilities for residents of the city. Residents can cars rent from and return them to any of 45 car pickup/return stations positioned in the midtown center of Yokohama. The Choimobi Yokohama plan is designed to be a one-way car sharing service that enables abundant availability of EVs. The usage charge will be ¥20/min (US$0.20/min). 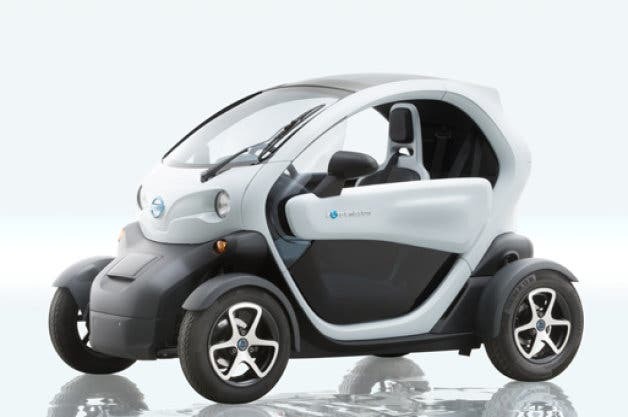 “Nissan Motor Co., Ltd. has launched a one-way car sharing service with the City of Yokohama that is the first of its kind in Japan to involve significant use of ultra-compact EVs,” Green Car Congress notes. Many companies participate and serve this pioneering venture. Hitachi, Ltd contributed to the enrollment and reservation system for Choimobi Yokohama. Mitsui’s Repark of Mitsui Fudosan Realty Co., Ltd. as well as many other companies and tourist/public facilities are helping with parking facilities at the numerous car stations, which are essential ingredients in this scheme. When Choimobi is initiated, Nissan will be working with local public transportation service providers, shopping malls, condominium management associations, and local businesses to make sure the program runs as desired. As the leader in Zero Emissions mobility, Nissan, working under the Ultra-Compact Mobility Certification System of the Ministry of Land, Infrastructure, Transport, and Tourism, continues to seek opportunities to harness the potential of ultra-compact EVs toward improvements in urban transportation and living environments for commuters and people in general. *Please visit http://www.choi-mobi.com (in Japanese only) for more details. Note: Nissan’s announcement is being issued at the same time as announcements about the project from its partners, the City of Yokohama, Hitachi Ltd. and Mitsubishi Fudosan Realty Co.